Too many world music releases are a fusion of banal Western riffs and soporific Eastern stasis, which has prompted new modal music progenitor Ross Daly to dismiss world music as “an offshoot of the pop music industry with an emphasis on party music”. Not so however the output from the diaspora of Ross's Labyrinth music co-operative in Crete. 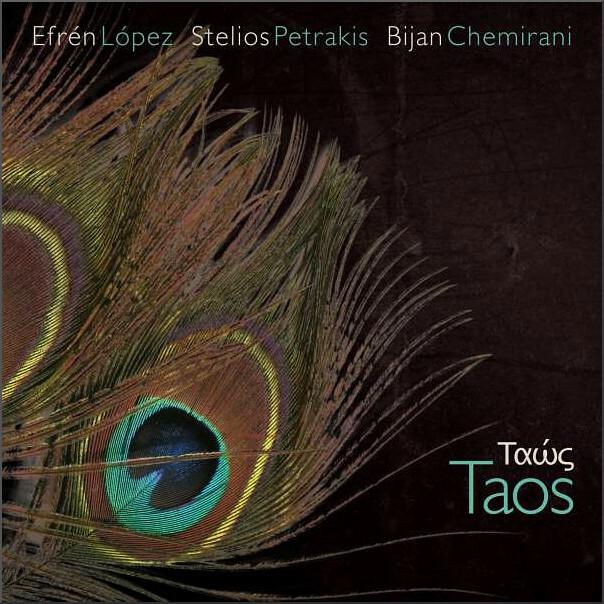 Among the practitioners of this contemporary music are the newly-formed trio of multi-instrumentalist Efrén López, luthier and lyrist extraordinaire Stelios Petrakis and percussion genius Bijan Chemirani. Their new CD Taos on the independent Buda Musique label is far from world music's madding groove - sample below. No review materials used. Any copyrighted material is included as "fair use" for critical analysis only, and will be removed at the request of copyright owner(s). Also on Facebook and Twitter.